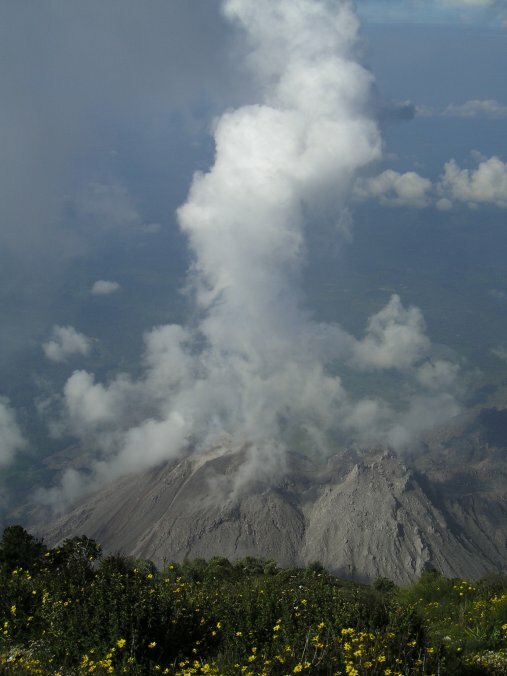 Guatemala is home to a large number of volcanos. 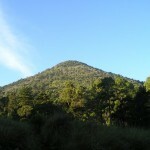 It boasts the highest in all of Central America, Tajamulco, which reaches approximately 4200 metres above sea level. 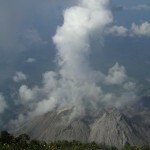 It is also home to the highly active Santiaguito (2500 metres) and the steep sided Santa Maria (3770 metres) volcanos. 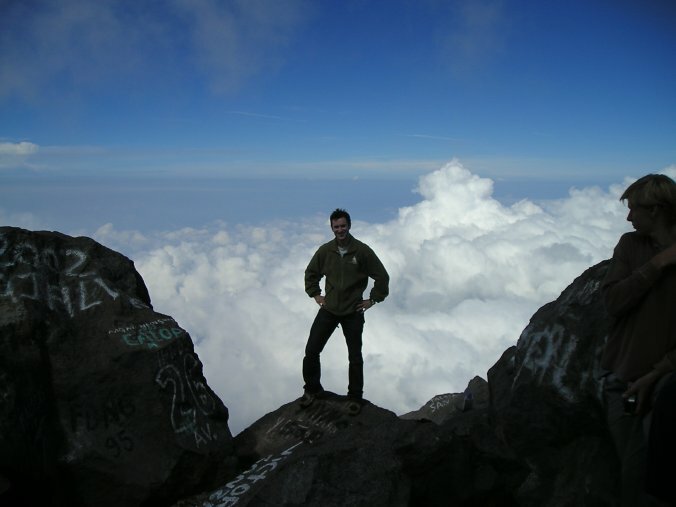 A few years ago I hiked up Santa Maria with some fellow students at the Spanish school where I was studying. Santa Maria is the dominating figure on the horizon, ever present as a ludicrous triangle blotting out part of the sky. 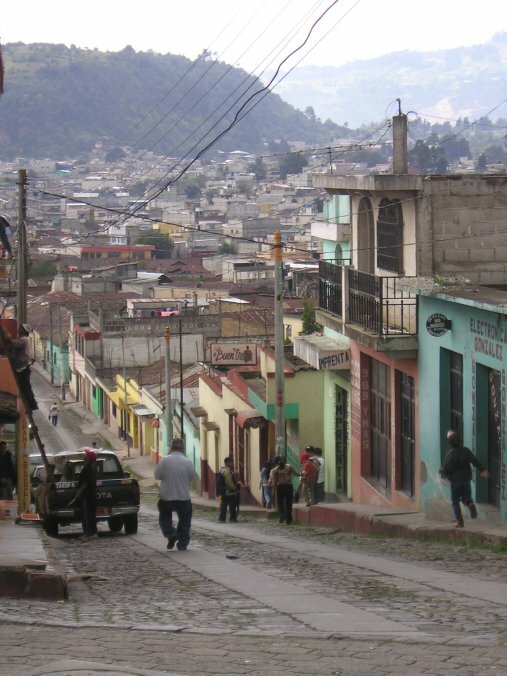 While walking the streets of Xela (short for Quetzaltenango), it is almost impossible to find a place where the mountain cannot be seen, so dominating is it to the city dwellers. 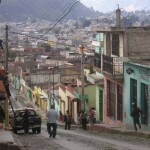 Indeed, in 1902 an eruption killed several thousand of Guatemalans living in the city. Climbing the mountain itself requires some basic fitness, lots of water, snacks to keep up the energy and plenty of patience. 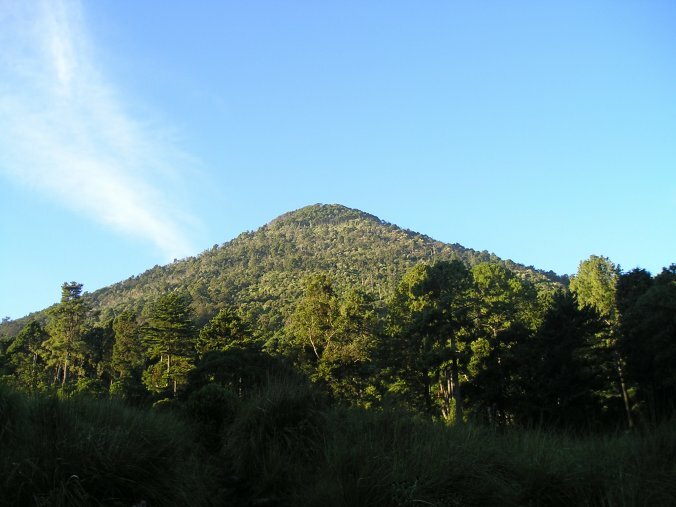 The sides of the mountain are fairly steep and maintain their angle (hence the triangle) all the way to the top. 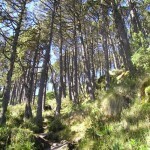 This means that the hike is somewhat a slog rather than a gentle undulating path. 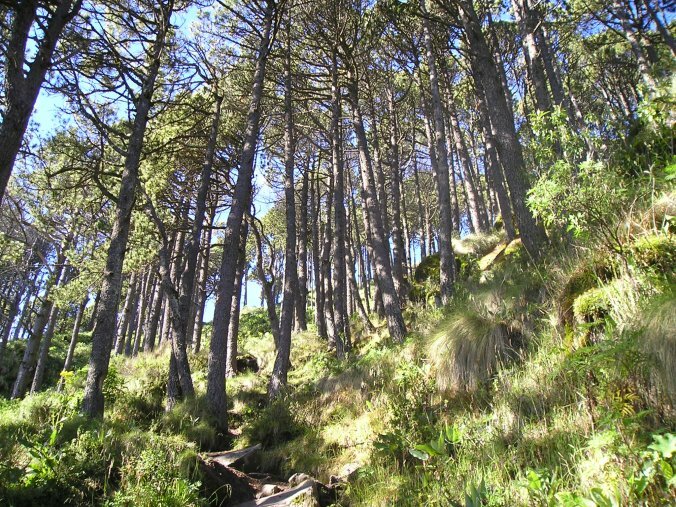 At the lower levels of the mountain there are tropical kinds of plant life, but the higher up you go, everything begins to change, until you could almost be in an English forest. Eventually the trees stop all together (near the summit) and an awe inspiring view is opened up to you. 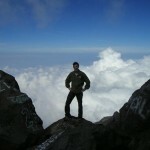 Reaching the top of the volcano was quite an experience and, certainly with my limited mountaineering ability, an achievement. From the top of the volcano it is possible to look down into the active craters of the smaller active Santiaguito, which extends from the base of Santa Maria (in fact it formed during an eruption of Santa Maria in the 1920’s). Santiaguito is a rocky mountain much like the surface of Mars. The jungle gives it a wide birth due to the noxious gases that belch out and roll down the mountain sides. After an hour or two at the summit the clouds started to form around the summit and we make our descent (and celebrated with a pizza). Sadly I didn’t make the time to climb the highest volcano, Tajamulco, or explore the many other gems of the Guatemalan highlands. I am hoping to do so the next time that I visit (perhaps this year). This entry was posted on Monday, January 19th, 2009 at 10:01 pm	and is filed under Fun, Travel. You can follow any responses to this entry through the RSS 2.0 feed. Both comments and pings are currently closed.